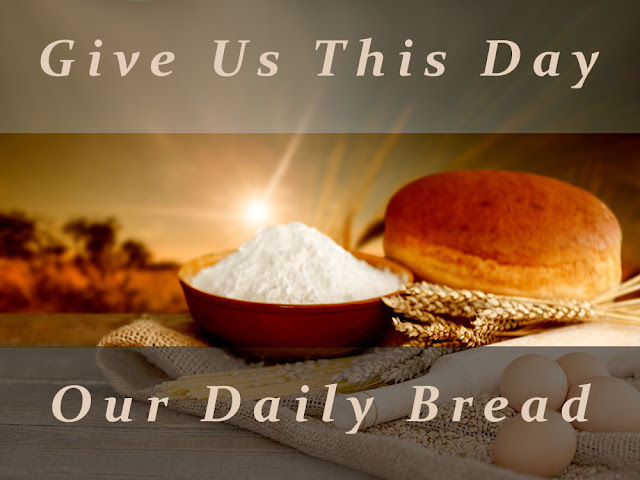 What does it mean when we say in our prayer, "Give us this day our daily bread?" The Bible tells us that bread represents four things, explains Pastor Rick Warren of the California-based Saddleback megachurch. "Man does not live on bread alone but on every word that comes from the mouth of the Lord," reads Deuteronomy 8:3b. And in Matthew 6:11, Jesus taught us to pray, "Give us today our daily bread." But bread means much more than just the bread we eat. Here are four things we need on a daily basis that bread represents, as written by Warren, author of The Purpose Driven Life, in a devotional. One: Bread represents the necessities of life. Our prayer for our daily bread "does not mean you sit on the couch and wait for God to throw you money. You've got to work!" Warren explains, reminding readers that even the Israelites had to go out and pick up the manna when they lived in the wilderness. "Work is a part of God's purpose for your life. It builds character," Warren adds, quoting Proverbs 14:23, "Hard work always pays off; mere talk puts no bread on the table." Two: Bread represents God's Word. Bread is a symbol for the Bible, which is our spiritual food, the pastor writes. When the children of Israel were walking to the Promised Land, God dropped manna from Heaven for the people to pick up because they had nothing to eat, Warren explains. "God gave them this bread to teach them that people need more than bread for their life. Real life comes by feeding on every word of the Lord. You don't just need physical nourishment; you also need spiritual nourishment." Three: Bread represents God's family and fellowship. Bread is also a metaphor for the family of God, the megachurch pastor says, referring to 1 Corinthians 10:16: "Is the bread which we break not a sharing in the body of Christ?" "You need God's people in your life! Whether or not you have a physical family, God wants you to be part of his family that will last forever — the Church. It is to be a place of fellowship," Warren explains. As it is written in Matthew 26:26–29, Jesus chose bread to represent His sacrifice in communion. "Every time we eat the bread and drink the wine or juice, it is a reminder of how much God loves us and the sacrifice he made so that we can go to Heaven," Warren explains. "Whatever your need is — physical, emotional, relational, or spiritual — God will take care of it if you will depend on Him."